I think I’ve made it pretty clear that I like wine. And I think I’ve made it pretty clear that I like Santa Barbara County wine. So…. Remember awhile back when I did a guest recipe post for Andrew Murray Vineyards and almost passed out with excitement? Well, today I am again very excited to share another Santa Barbara wine with you. Allow me to introduce you to Cimarone and 3CV Estate Wines, where Andrew Murray now happens to be the winemaker. Let me just put this out there: If you see a wine that’s made by Andrew Murray, do yourself a favor and buy it…that concludes my public service announcement for the day. Cimarone is located in the Happy Canyon AVA of Santa Barbara and currently has two labels: Cimarone and 3CV. Since the tasting room is not yet open, I was thrilled to get my hands on some of these wines and have been guzzling sampling them while experimenting with some recipes. One wine in particular shocked me, and in the best way possible. 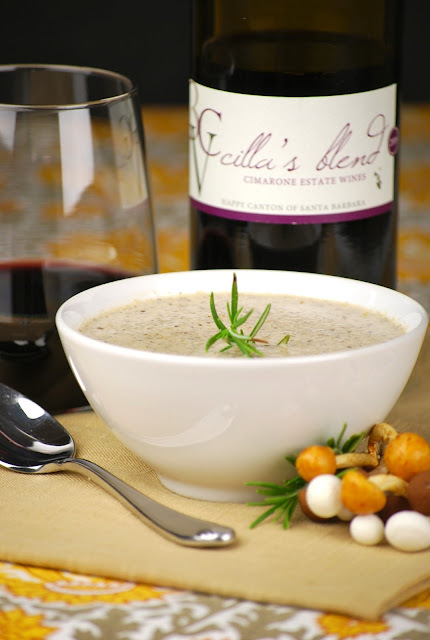 I was in the middle of making roasted mushroom soup and thought it could use a splash of red wine, because really, what dish couldn’t benefit from a splash of wine? So I headed to the wine fridge and pulled out a bottle of Cimarone without doing any research as to what I was actually opening. Into the soup it went, and then into a glass for me. Turns out I had opened a 2009 Cilla’s Blend (made by winemaker Doug Margerum, another winemaker you should get to know). Let me tell you…this wine, a blend of Cabernet and Syrah, knocked my socks off. I would have guessed it to be one of their more expensive wines, so imagine my surprise when I saw the price tag was under $20! Unfortunately, we’ll have to wait for Cimarone to open their tasting room doors, but I will happily belly up to that tasting bar when they do. For now, there is limited distribution of these wines (although they do ship anywhere in California), but if you happen to live in the Santa Barbara or Southern California area, you might be lucky enough to find them. And if you find Cilla’s Blend, feel free to send me a bottle or two. And that mushroom soup recipe? You’ll have to head over to the Cimarone website and check it out there. 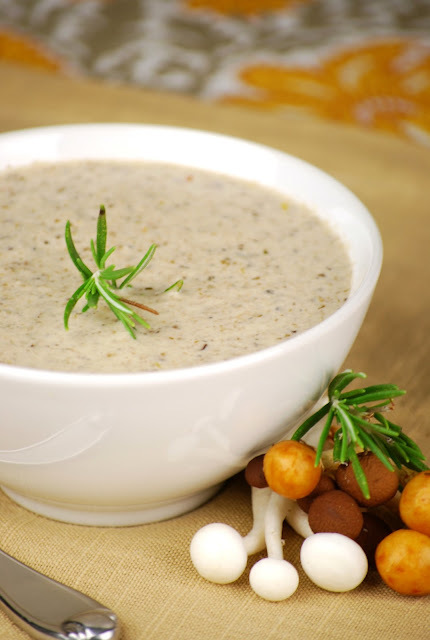 Click here to see my Creamy Roasted Mushroom Soup recipe. This soup does not come together in minutes, but the active cooking time is small. The time spent roasting mushrooms, caramelizing shallots, and cooking leeks in butter is well worth it. Each ingredient’s flavors are maximized and the resulting soup is full of deep, rich components. Pour yourself a glass of wine and enjoy a bowl. Disclosure: While Cimarone and 3CV Estate Wines provided me with complimentary wine, I was not compensated monetarily in any way. All opinions are my own. I could use a big bowl of this soup on a rainy day like today! 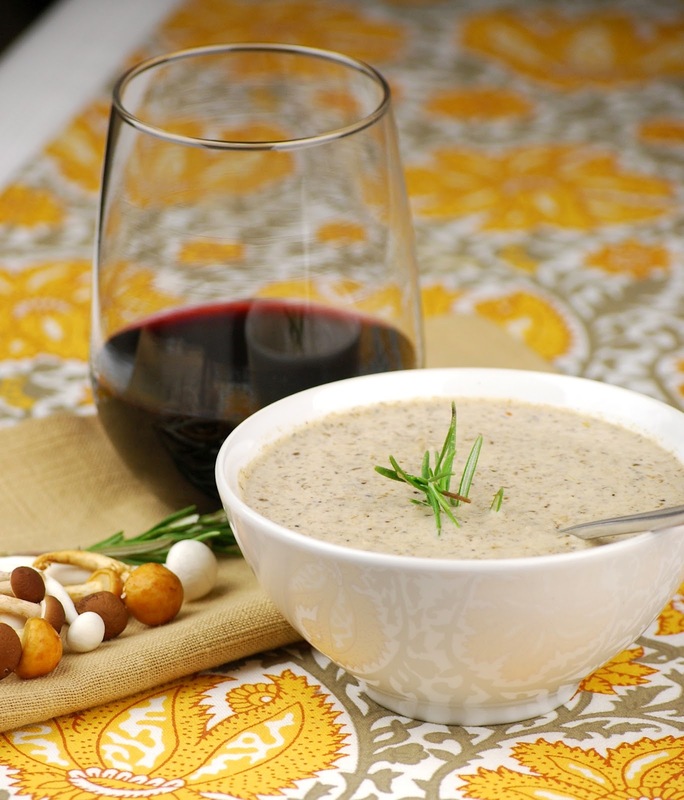 From the splash of wine to the beautiful mushrooms to the caramelized leeks, I may never go back to a basic cream of mushroom soup again This looks absolutely divine! Thank you for the wine recommendation. I'll have to keep my eyes open for Cimarone Cilla's Blend. I read this, "roasting mushrooms, caramelizing shallots, and cooking leeks in butter," and started drooling immediately. Holy cow that sounds delicious. Definitely worth the work and wait. This is fabulous Karen! Yes, I truly remember you made a point liking SB wines ;-), which reminds me, I should make time for some tastings next time I visit family in Ventura. Heading to Cimarone to grab your recipe! Thank you for sharing! oh wow, this soup looks amazing! 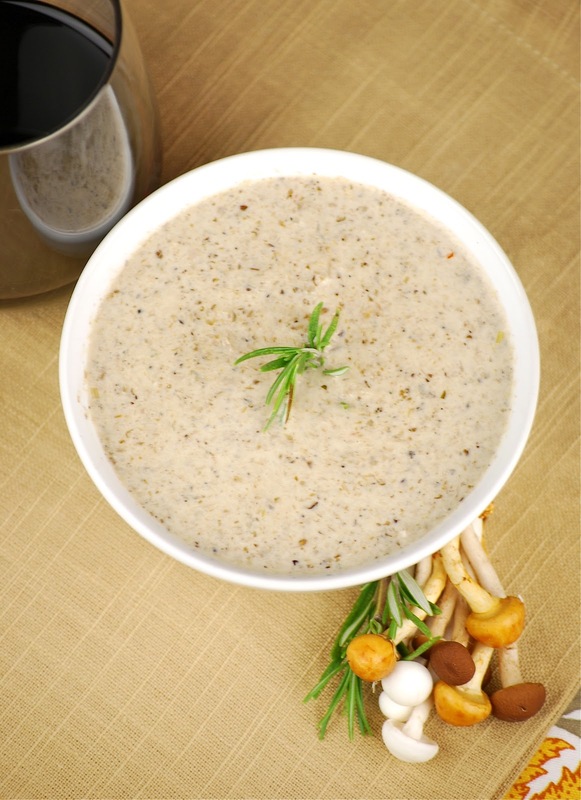 i just love mushrooms, in any form, + i know i'd love this soup. it would be so great with a nice fresh baguette. mmmm! I'm going to have to check out their wineries since I found out recently it only takes me an hour and 15 minutes to drive to Santa Barbara! And your recipe looks delicious! Oh this is totally my kind of soup. I'm looking for ways to kill my cold right now and I think I'll try your recipe tonight. Mushrooms, wine, what could be better? I always look forward to seeing your submissions and your blog is so well written and simply stunning photographs! Have you considered entering our O Olive Oil cooking contest? You would do very well. They are emphasizing Fresh spring/summer ingredients, something you like to do. We are unusual in that we have prizes for best written, best photographed as well as best recipe. Like I said, you shine in all three. Deadline is today, would love to see you sign up! 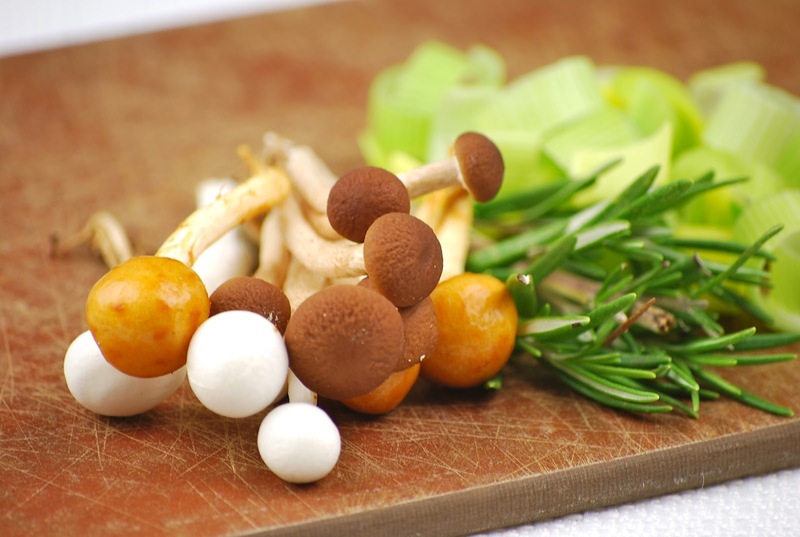 Those colorful tiny mushrooms look very pretty..roasting them for the soup sounds wonderful! I love mushroom soup and I think you took it to a new level with the roasting and the wine! 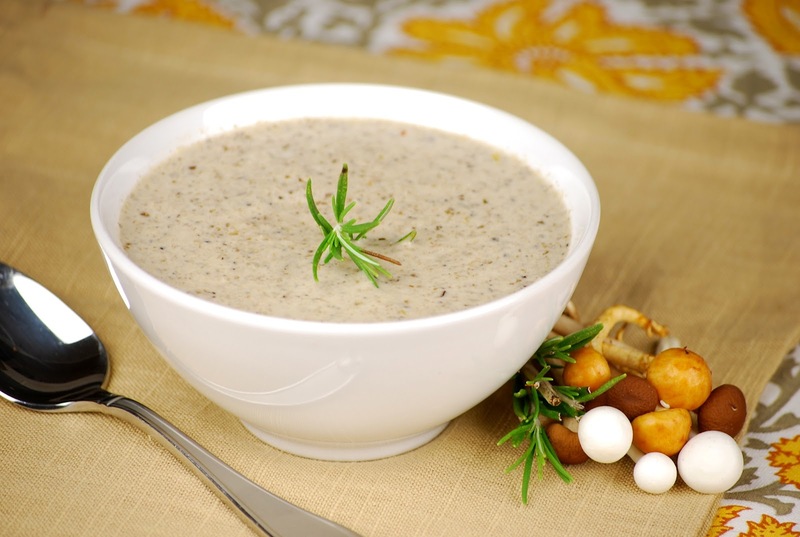 I do love my mushroom soup, but would have never thought of roasting them; brilliant! A must try recipe Karen. Great photos. Just like most of the comments here, I do love mushrooms but haven't tried roasting it yet. Im sure it gave the soup a higher notch. Great job on getting those wine going your way! Cheers! I supposed chances are slim to none that we'd be able to find that wine here in Wisconsin :( It sounds wonderful and what a great price for a good bottle of wine. I love mushroom soup and I can imagine how good it was with the wine-infused roasted mushrooms! Wow, this looks amazing and sounds delicious. I just love mushroom soup. Thank you so much for sharing this recipe. P.S. I really envy your photography skills!